Scorpion and Sub-Zero: in your pocket since 1993. Ask us to name our favorite video game commercials, and the original Mortal Kombat would definitely make the list. 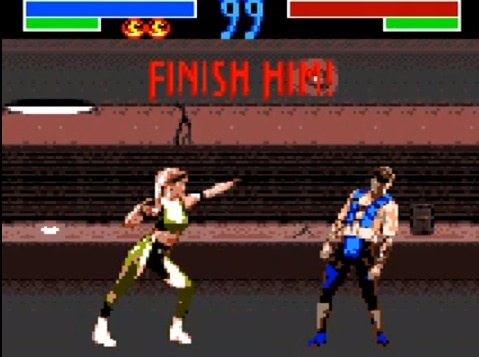 The iconic TV spot featured every day civilians screaming "Mortal Kombat" while throngs of seemingly desperate consumers ran around, presumably to retail stores to snag copies of the arcade port. Classic stuff. Although the commercial aired in 1993, it still has relevance today. In fact, we're less than 24 hours till the next chapter in the celebrated fighting series arrives, complete with a return to the franchise's 2D roots. MORTAL KOMBAT, indeed. With this in mind, we decided to look back at all the handheld Mortal Kombat games, both the good, and mostly the bad. Got to love those Game Boy graphics. Or not. If you craved portable Kombat, the Game Gear version was the best. 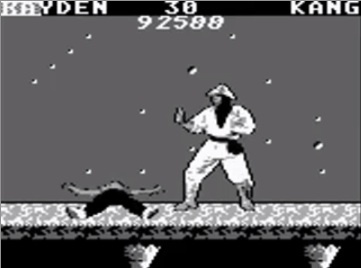 Although it only had two backgrounds and less fighters than the console editions (no Kano or Reptile), entering a code gave you access to all the blood and fatalities. It also looked the best, thanks to the system's ability to display multiple colors. At least the Game Gear had color. Game Boy Mortal Kombat, meanwhile, was a joke. 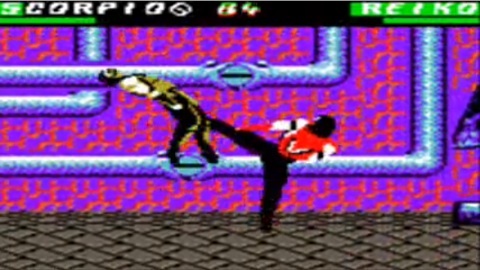 In the Super Nintendo tradition, all blood and graphic finishing moves were removed, and for some odd reason, so was Johnny Cage; he appears in the SNES MK. Those black and white graphics didn't make the package more appealing. You can also find MK on PSP. We played too much Mortal Kombat II on Game Gear. Once again, Gear Gear reigned supreme. Despite featuring less blood than the original, this portable Mortal Kombat II was still the most violent, with scores of gruesome fatalities. That said, developer Probe Entertainment was forced to tone them down, but not because of the ESRB. 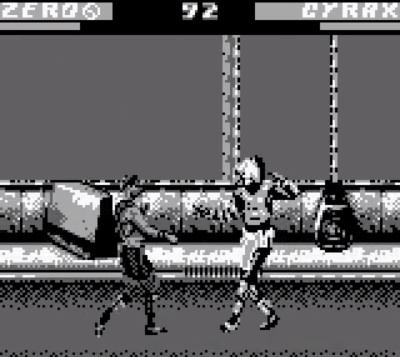 Due to the Game Gear's limited power, the designers couldn't display these pulverizing moves in all their glory, instead going with finishers that completely destroyed a character's body. Take Liu Kang's dragon transformation. In the arcade version, the lizard bites enemies in half, but on the Game Gear, it torches them with a fireball. On a side note, Mortal Kombat II also appeared on PSP. 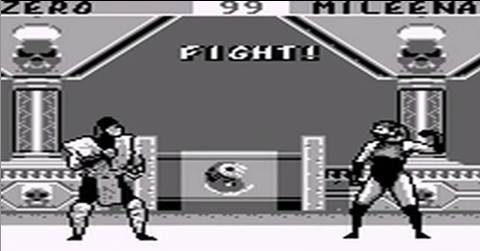 Poor Mortal Kombat II on Game Boy. A mere shadow of its arcade self. As for the Game Boy edition, although it was marginally improved, the lack of blood and no Kintaro were deal breakers. On that note, Baraka, Raiden, Johnny Cage and Kung Lao were missing from both. Back in those days, fighting games and handhelds didn't mix. Talk about watered down. 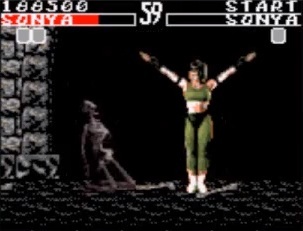 Game Boy Mortal Kombat 3 was a mere shadow of its arcade self with only nine of the 15 characters (the worst list- Kano, Sonya, Sub-Zero, Cyrax, Sektor, Sheeva, Sindel, Kabal and Smoke), a significant lack of gore, no Motaro or button link combos. No U.S. release makes MK3 for Game Gear somewhat of a collector's item. The Game Gear port is essentially the same deal, except with mature content and color graphics. It was a Europe only release. A port of MK3 also hit PSP. Full motion video fatalities? We'll pass. This is a prime example of a game that should've never appeared on the Game Boy. 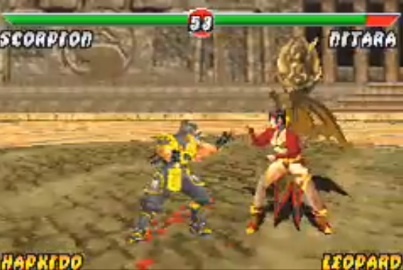 Its 2D graphics pale in comparison to the 3D visuals on N64, while the decision to showcase fatalities as full motion videos made little sense. Not even color and a decent character list (Raiden, Quan Chi, Fujin, Liu Kang, Sub-Zero, Reiko, Tanya, Scorpion) could save this horrible port from the bargain bin. We almost bought a Game.com when they were on sale for $19.99. Almost. Tiger Electronics achieved limited success with its ill fated handheld, the Game.com, aside from securing big time franchises like Resident Evil, Sonic the Hedgehog and Mortal Kombat. Hey, at least it could brag about having the only handheld version of Mortal Kombat Trilogy, right? Wrong. Game.com MKT only had 13 characters (other versions have 30 plus), crude black and white graphics and all finishers used the same button combination. R.I.P. Anything involving Mortal Kombat and a Game Boy system was a disaster. Wow, the Game Boy brand just can't catch a break. 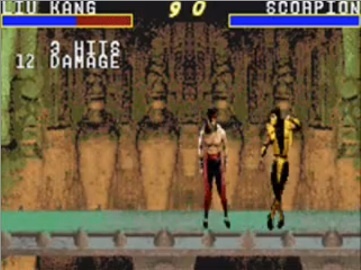 MK Advance is a watered down port of Ultimate Mortal Kombat 3, with little blood, unfair (AKA cheap) computer opponents and bad controls. Two games with two different rosters? Sounds like some terrible attempt at Pokemon. Try to wrap your head around this nonsense. In 2002, Midway released a port of Mortal Kombat: Deadly Alliance for GBA, then released another edition called Tournament Edition in 2003. In doing this, the company split the roster. 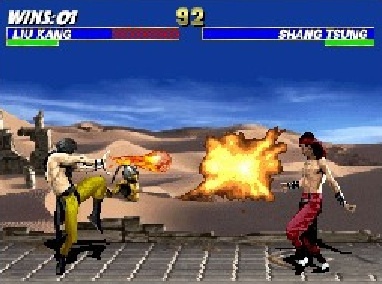 Three characters (Shang Tsung, Quan Chi, Scorpion) were included in both versions, while Sub-Zero was only available in Deadly Alliance, and Raiden in Tournament Edition. Lame. Finally, someone does portable Mortal Kombat right. Despite long load times and tough controls, Unchained (the PSP title for MK: Deception) is arguably the best portable Kombat. There are more than 20 characters to choose from, a copious amount of blood, sweet looking fatalities, four additional fighters not seen in the console version (Blaze, Frost, Jax, Kitana), the exclusive Endurance mode and Wi-Fi multiplayer. Just bring a book to read while the game loads. Puzzle Kombat makes this package a guilty pleasure. 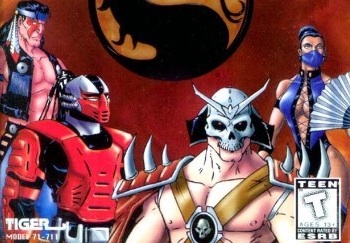 After more than a decade, a decent Mortal Kombat finally appeared on a Nintendo handheld. 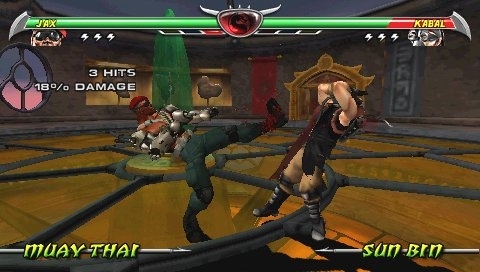 Ultimate MK includes a respectable port of Ultimate MK 3 as well as the entertaining Puzzle Kombat mini-game from MK: Deception, complimented by both local and online multiplayer. EA should have just published the original arcade game instead of going with 3D models. 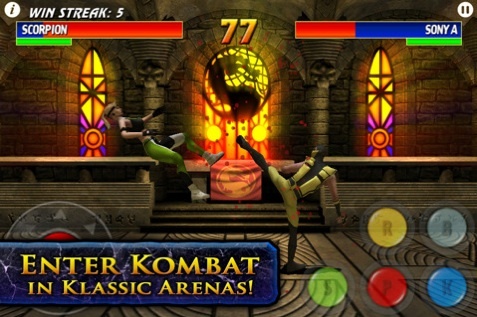 Turns out, even the App Store cannot escape Mortal Kombat's wrath, courtesy of Electronic Arts and a revamped version of the classic arcade title, Ultimate Mortal Kombat 3. The game has 13 warriors, ten arenas and head-to-head multiplayer battles via Wi-Fi and Bluetooth. Sadly, numerous consumers have complained of lag, difficult controls and less gore than the original, while others think the inclusion of 3D characters (over the digitized actors) kill the game's retro appeal. We agree. Crave more Kombat? 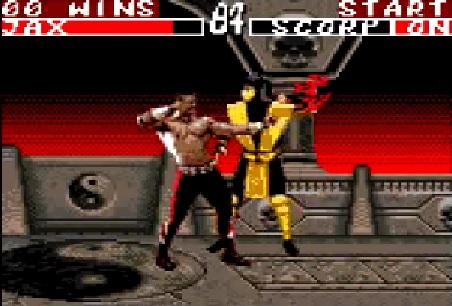 Watch the worst Mortal Kombat Portable Fatalities.